We’ll begin by picturing a washing machine. The 1st president of the United States was, of course, George Washington. Washington sounds a bit like 'washing machine'. I’m sure you don’t need any help remembering the first president, but we’ll use an image anyway because it’s the first picture in our visual story. So picture a washing machine, and imagine it has arms and legs. It’s running down the street, arms and legs pumping madly, and the lid of the washing machine is flapping open. When you think of that washing machine running like crazy, you’ll realize that washing machine sounds similar to Washington, and you’ll remember the 1st president of the United States. The 2nd president was Adams. Adams sounds a bit like 'atom', like an atom bomb, so let’s use that. Picture that washing machine again, running down the street, when suddenly, out of nowhere, a huge atom bomb falls out of the sky and lands right on top of the washing machine, crushing it to the ground with a loud boom. I’m not sure how big a real atom bomb is, but let’s make this one the size of a car. The washing machine didn’t stand much of a chance, but at least the atom bomb didn’t explode. Picture that atom bomb landing on the washing machine, and you’ll link that to Adams, and know that he was the 2nd president, right after Washington. Jefferson was the 3rd president. Jefferson is a little challenging, but it kind of sounds like the question ‘dya have a son?’ Let’s imagine the atom bomb didn’t mean to land on the washing machine and now its feeling a bit concerned about the health and well-being of the washing machine. Maybe it wants to check if the washing machine has next-of-kin, somebody it should call, and so it’s asking ‘dya have a son?’ Picture the atom bomb standing over the crushed washing machine. The atom bomb has eyes and a mouth and it’s asking ‘dya have a son?’ Imagine that scene clearly in your mind, and you’ll easily recall the 3rd president – Jefferson. The 4th president of the United States was Madison. That makes me think of 'mad sun', so let’s roll with that. The sun up in the sky misheard what the atom bomb asked the washing machine. He thought the question was ‘are you the sun’, and that just gets the sun mad. Picture the sun has come down out of the sky, it’s very cranky and it’s telling the bomb not to ask silly questions because it’s obvious he’s the sun. Clearly visualize that sun getting very mad. Now, when you picture the mad sun, you’ll link that straight away to the 4th president – Madison. On we go, and Munroe was the 5th president. One of the most famous people of the last century was Marilyn Munroe, the Hollywood movie star and original blonde bombshell. And she’s going to be our link to the 5th president since they have the same last name. Picture Marilyn Munroe walking up to the mad sun and asking him why he’s so upset and telling him he should take a deep breath and cool down. The sun stops his little rant, because Marilyn Munroe was a beautiful woman and even manages to catch the attention of a mad sun. Picture Marilyn Munroe talking to the mad sun, and you’ll remember that after Madison came Munroe, the 5th president. The 6th president was John Quincy Adams, so we’ll include another 'atom' bomb in our story. Let’s say that Marilyn Munroe finishes talking to the mad sun and out of the pocket of her dress she pulls a large atom bomb and throws it into the air. I’m not quite sure how she fit that large bomb into her pocket or how she has the strength to throw it, but it goes sailing through the air. Clearly visualize in your mind that atom bomb being thrown through the air by Marilyn Munroe and you’ll recall the president after Munroe was Adams. Jackson was president number 7, right after Adams. We’ll remember Jackson by picturing the son of a jack – a car jack. There’s different styles of car jacks, but this is one of them. Picture a large red car jack and next to it is one that look exactly the same, except it’s half the size. They’re father and son jacks. The atom bomb that Marilyn Munroe threw into the air falls back down right near the jack son. The 'jack son' reaches out with his little jack arms and catches the atom bomb and puts it gently on the ground. Imagine the atom bomb being caught by the son of a jack, and you’ll remember Jackson. The next president was Van Buren, the 8th president. Van Buren sounds like 'van blue wren'. So let’s picture a van being driven by a blue wren – a type of bird. The son of a jack has to jump sideways to avoid being hit by the van, because the blue wren is not a great driver and the van is completely out of control. Clearly picture that van being driven by the blue wren. This blue wren is a giant, about the size of a person, and it fits nicely into the van, but I don’t think wings and bird feet were meant for driving. When you visualize that van and blue wren, you’ll be reminded of Van Buren, the 8th president. Harrison was the 9th president, and Harrison sounds like 'hairy sun'. The out of control van being driven by the blue wren crashes into a wall with a large mural of a hairy sun. The sun is bright yellow like a normal sun, but he’s got a moustache and bushy beard too. He’s a really hairy sun. The hairy sun is a little surprised to watch a van suddenly crash into his wall, but I suppose everybody needs a little bit of excitement in their life. Create an image in your mind of that hairy sun on the wall, and you’ll be prompted to recall the 9th president – Harrison. President number 10 was Tyler. A tiler is also someone who lays tiles, and that’s what we’ll use. Since the mural on the wall has been all scratched up by the van crashing into it, a tiler appears to tile up the mess. He starts laying big white square tiles, he’s not interested in matching the tiles to the old mural, and the hairy sun watches on as the tiler works. Imagine the tiler laying all those tiles and you’ll remember the 10th president – Tyler. And that’s the first ten presidents, how simple was that? 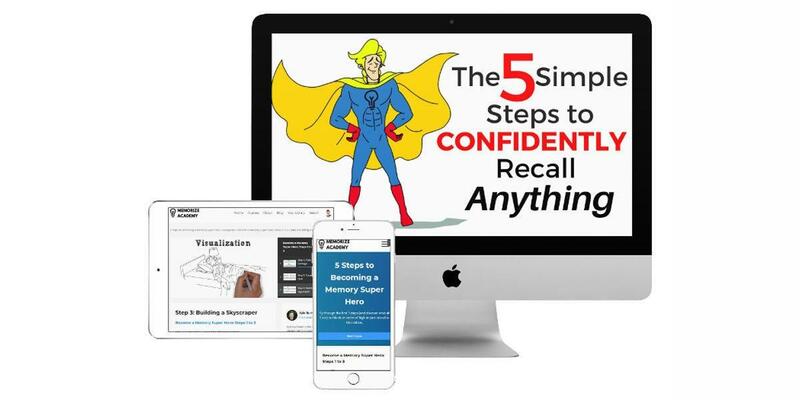 If you’d like to watch the complete video series for all the presidents of the United States, register for the free training course Memorize the Presidents.